Are you looking for a delicious cranberry mocktail recipe to serve over the holidays? This new addition to our mocktails for kids collection is kid- and grown-up approved, perfect for pleasing guests at your next family get-together. 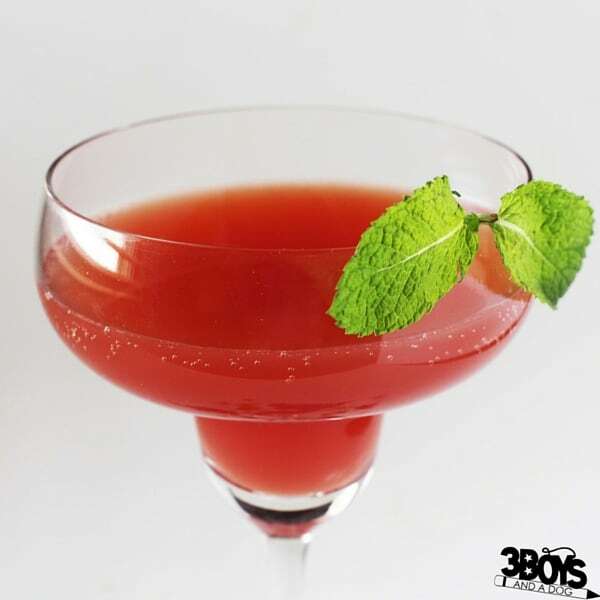 Mocktails are a wonderful alternative plain old sodas or juices during the holidays. They are perfect if you want something a little bit special, but also want to avoid serving or consuming alcohol. Mocktails aren’t just for kids, either – they are a courteous offering for pregnant guests, sober guests, or designated drivers. I personally love being able to have a few fancy mocktails throughout a long family gathering, without the effects that a cocktail would have! 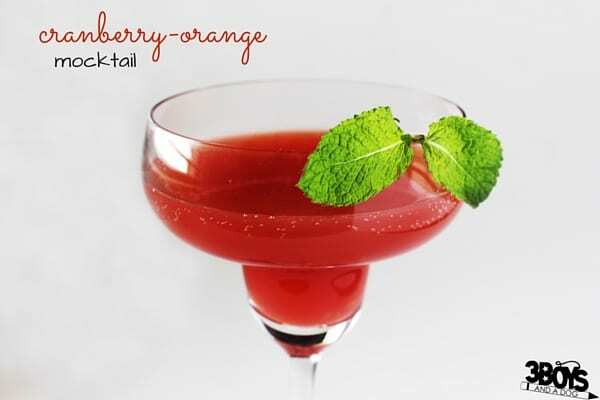 This cranberry mocktail recipe is actually a sparkling cranberry-orange mocktail with an optional mint twist. You can make this cranberry mocktail recipe in a couple of different ways. Add ice or muddle with a cocktail stick, and pour out into your cups. 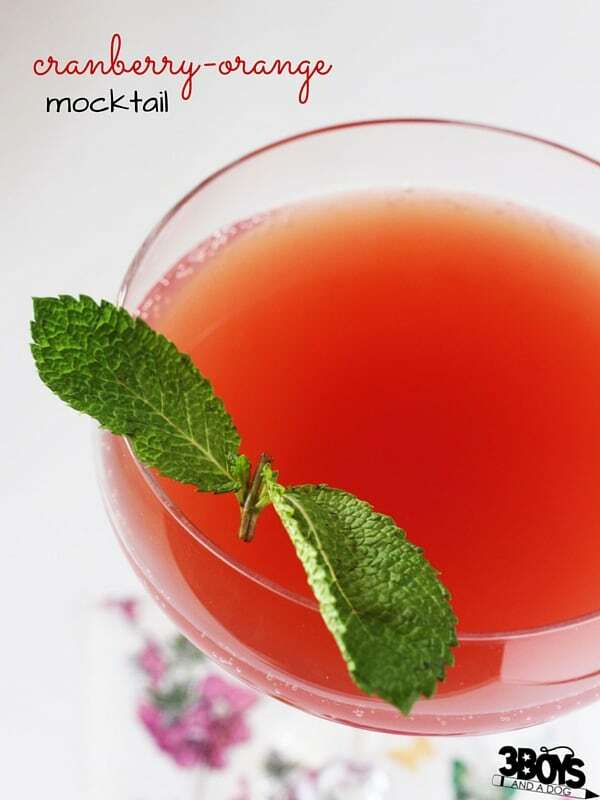 Garnish with a fresh mint leaf to let your guests know what mix of flavors to expect when they take a sip. Make sure to pin this cranberry mocktail recipe for the holidays, and for more delicious mocktail recipes, check out our collection of Mocktail Recipes for Teenagers (which are great options, no matter the age of your guests). Looks like a perfect beverage for all ages no matter what their circumstances are. Great Fall drink to share with Fiesta Friday. I sure am glad that this is a Mocktail so the little ones can enjoy it to! Thanks so much for sharing with us at Full Plate Thursday. Come to next weeks Thanksgiving party on Tuesday at 8:00 am, CST, see you then! Yum! Thanks for sharing your recipe with us on weeks Creative K Kids’ Tasty Tuesday – I can’t wait to see what you link up next week! Sounds like the kids will love this one!! A great festive drink for everyone. Thanks for sharing at the What’s for Dinner party!